It’s the new year and you’re on a lookout for a new work bag. It has to have classic good looks, be made of leather and something that is rather well-priced, because it is for work after all and God forbid you spend a small fortune on it. 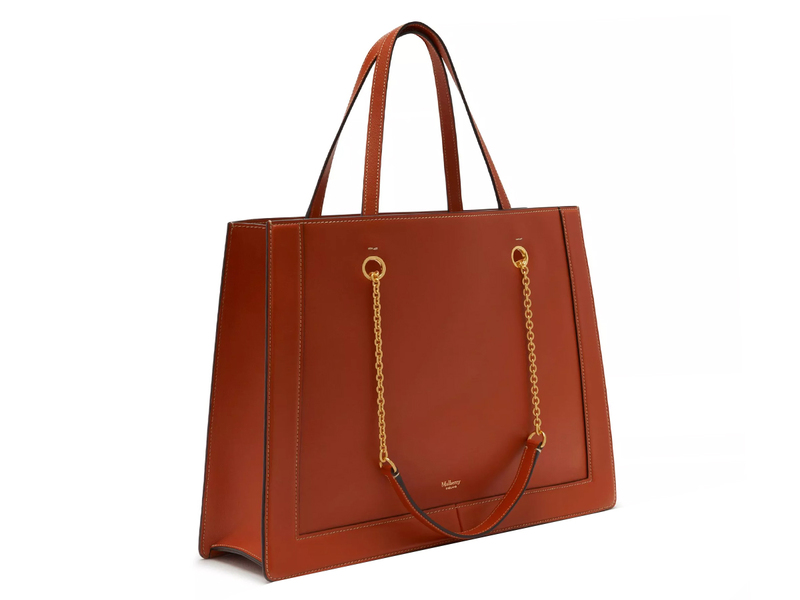 In other words, it is time to check out Mulberry’s new Small Vale Tote, which does check all the 3 boxes mentioned earlier. Simply designed with a hint of gold-tone hardware, it comes with dual straps, one pair serving a more functional use, the other distinctly decorative, though it can be used as well. Measuring some 40 cm across by 31 cm, you’ll find one roomy compartment as well as a zipped compartment within for all your essentials. Available in at least 2 colours (Dark Olive and Red Clay that’s shown above), it is priced at SGD1865, which isn’t so bad for such a workhorse. How to get one? Either head online and order via Mulberry’s online site, or head down to their boutiques at either Marina Bay Sands or Paragon in Singapore.